Why film in the Philippines? – Incredible cost savings you CAN’T achieve in the U.S.
– Almost everyone speaks/understands English! *There will be prizes and giveaways! Reps from RLJ Entertainment, domestic film/TV distributor, are scheduled to attend. 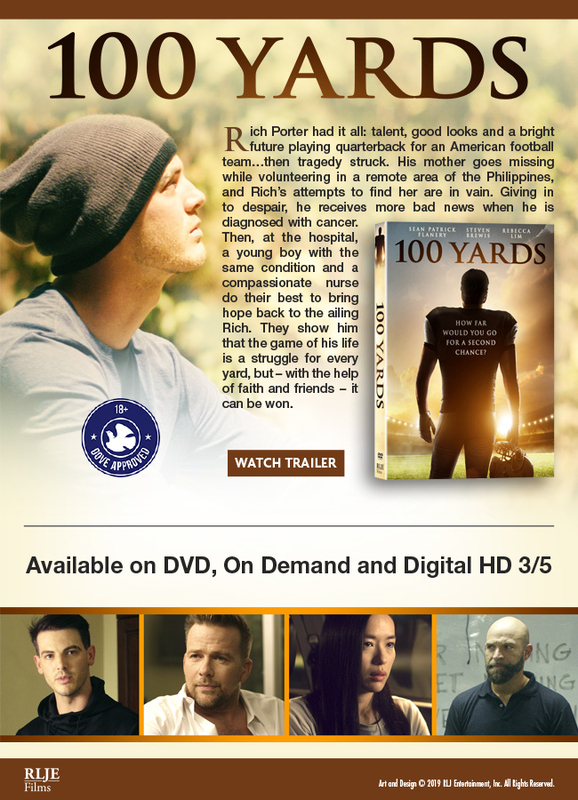 “100 Yards” will be releasing nationwide on March 5. Sean Patrick Flanery (“Dexter”), Steven Brewis (“Tabloid”), Danielle Rayne (“Switched at Birth”) and Rebecca Lim (“The Pupil”). In 100 YARDS, Rich Porter (Steven Brewis) had it all: talent, good looks and a bright future playing quarterback for an American football team…then tragedy struck. His mother goes missing while volunteering in a remote area of the Philippines, and Rich’s attempts to find her are in vain. Giving in to despair, he receives more bad news when he is diagnosed with cancer. Then, at the hospital, a young boy with the same condition and a compassionate nurse do their best to bring hope back to the ailing Rich. They show him that the game of his life is a struggle for every yard, but – with the help of faith and friends – it can be won. Interested in sponsoring this event toward a targeted demographic of FilAms, Asians and entertainment industry professionals with cash donations or prize giveaways? Contact Walter Boholst at walterb@filamcreative.org or Vince at Vincent Eclevea <veclaveajr@gmail.com>. FilAm Creative (FAC) strives to be the premiere Filipino American creative organization that promotes a more culturally integrated and diverse entertainment industry. FOLLOW, LIKE & SUBSCRIBE TO OUR SOCIAL MEDIA!